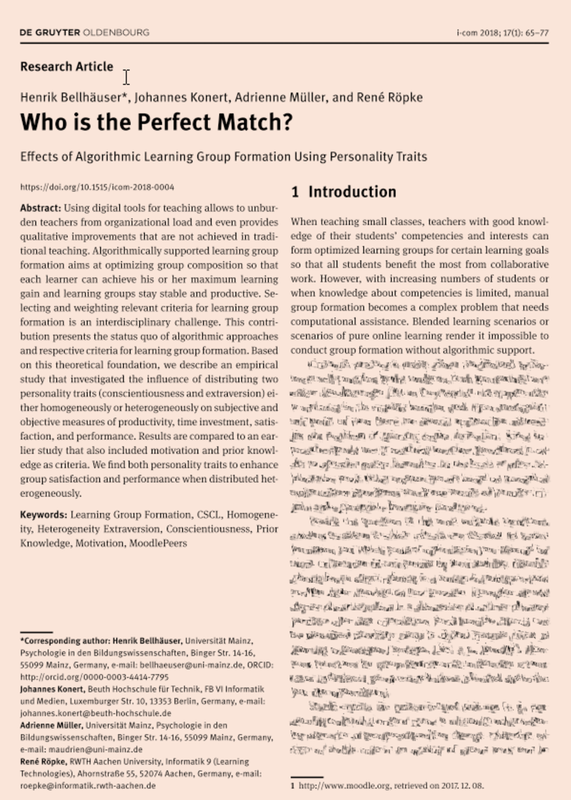 Who is the perfect match to build a learning group? How to build the perfect learning groups for exercises, projects and seminars at university? Our research investigates answers to this and related questions since years. 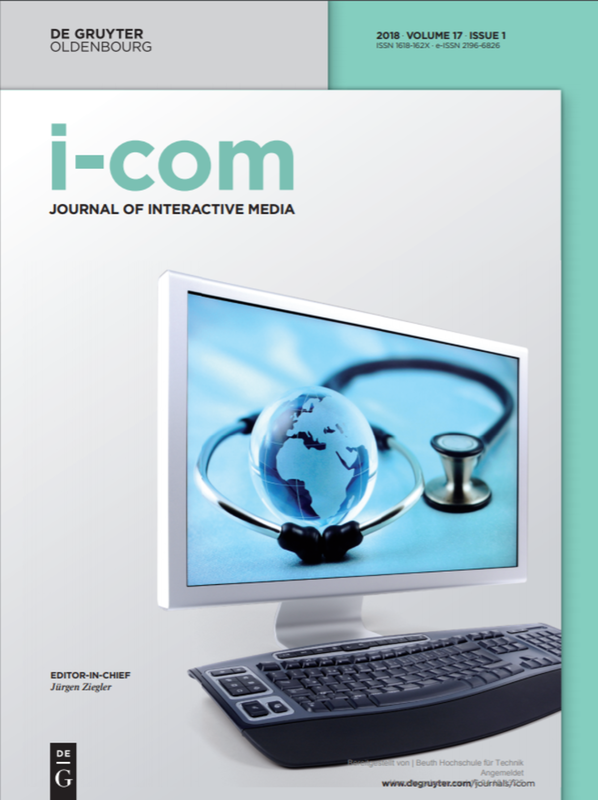 In April the most recent results were published in i-com Journal as a result of the Best Paper Award for the German paper at DeLFI conference 2017. Beside prior knowledge and motivational aspects, personality traits play a relevant role for successfull learning group work. Our findings are based on yearly field studies with about 400-600 students using the GroupAL algorithm based learning group formation plugin mod_groupformation for Moodle. The results, published in Journal of Interactive Media (i-com), support the relevance of conscientiousness and extraversion. Still, open questions about weighting relevant factors remain. The journal article is based on the German paper from DeLFI conference 2017, which was awarded Best Full-Paper. The results were extended by more detailed insight and visualizations.